BANGKOK, Thailand, Thailand’s King Maha Vajiralongkorn, has approved organic laws for the naming of senators and election of MP’s, which will be effective after 90 days. The approval was promulgated in the Royal Gazette on Wednesday. Prime Minister, Prayut Chan-o-cha, earlier confirmed that a general election for MP’s has been tentatively scheduled by the Election Commission for Feb 24, 2019. Deputy Prime Minister, Wissanu Krea-ngam, earlier said that, political parties will have more than 70 days, starting from Dec, to run electoral campaigns nationwide. 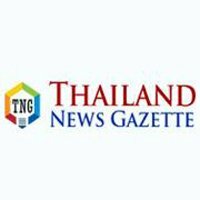 Meanwhile, Prayut is largely expected to waive some of the political restrictions, imposed by the ruling National Council for Peace and Order, as the organic laws have been approved by the monarch. According to Wissanu, the restrictions will be lifted, to the extent that the political parties may resume political activity, such as organising party caucuses, recruiting party members, naming party executive board members, selecting electoral candidates and holding party primary votes.